Crete Direct has traditional Country Houses and exclusive, private Holiday Villas for rent near Chania in the West of the beautiful island of Crete. Welcome to this warm, wonderful paradise. ...many of our prices have never been lower, with big discounts for certain seasons and half-price car hire on several houses. One of our beautiful Holiday Villas can be yours for less than  25.00 per person per day! As well as providing a haven in which to relax and sample life in West Crete, away from main tourist areas, our villas and houses are excellent bases for exploring the island. They are also within easy reach of Chania's excitement and entertainment. When you rent from Crete Direct, you really do deal with experts - no-one else knows and loves the intimate magic of this place and its people more than we do - and for news about everything here, do please sign up below to our newsletter. We are not an agency or tour operator and this is reflected in the low prices of our villas, our immediate responses and our personal service, tailored to what you want. Short or long term, summer, winter or all year round - Crete Direct - private Villas and Houses to rent for lovers of genuine peace and quality. Our Holiday Villas (just click here) are for rent to those who seek a holiday break in the calm and authenticity of a village location and the countryside - yet be fairly close to a town or to the lively city of Chania (sometimes written as Hania or Xania) with its Mediterranean excitement and entertainment. The houses range in size from large five-bedroom private villas with pool and air-conditioning etc, through to two-person mini-villas in more social, neighbourly settings. All offer excellent value, a high standard of accommodation and provide an excellent touring base from which to enjoy this wonderful area. All our holiday villas are available to rent by the day between April and October and a selection are also available for our winter programme between November and March. And we dont have change over days  you can come and go on any day of the week. As you would expect when dealing with Crete Direct, our prices are very competitive - and additionally, we are pleased to offer further discounts if you stay for more than ten days continuously. Whether you are a party of one or twenty one - staying for a day, a week, a month, or a year - to explore Crete Direct further and to begin the experience, just choose a button on the left. Contact us Your browser does not support inline frames or is currently configured not to display inline frames. 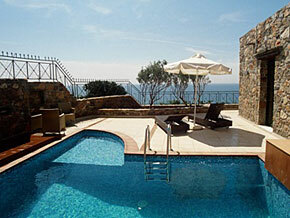 Crete Direct is part of Experience Europa Ltd - a European company, welcoming the world to Crete.